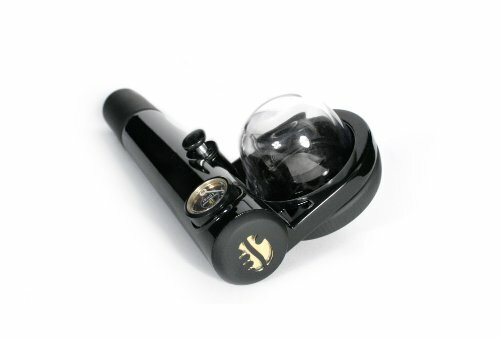 If you love coffee, especially espresso and Americano, you will love the Handpresso. 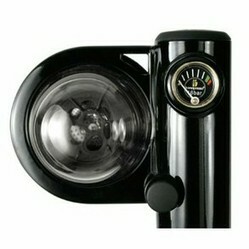 It is a portable, manually operated espresso machine. All you need to make the coffee is the machine, a coffee pod, and hot water. No electricity, no batteries, no fancy equipment other than those three things. Well, you do need a mug or cup. The Handspresso is is just over 8 inches long! That means it is small enough to fit into a kitchen drawer. With the Handpresso you don't have to keep a bulky espresso machine on your countertop. Clear countertops make your kitchen look larger and more tidy. Plus you have more room for baking up biscotti to go along with your cup of espresso. The Handspresso is small and light enough to fit into a backpack or a piece of carry-on luggage. That means you can have a cup of java anywhere you go, as long as you have access to hot water. The Handspresso is operated by manual power, so it doesn't matter if you have no electricity. Whether a hurricaine blew out your power or you are on a mountain hike, you can make espresso with the handheld espresso machine (as long as you have hot water). First you manually pump the machine, building pressure inside until the gague shows 16 bars of pressure. Then you add the hot water and coffee pod. After you seal the unit, you can begin brewing. Your foamy espresso comes pouring out of the machine into your cup. If you prefer Americano, simply add more hot water to your mug to dilute the strength of the espresso. As far as the coffee for the Handpresso, you need to use ESE (easy serving espresso) pods. There are two choices. 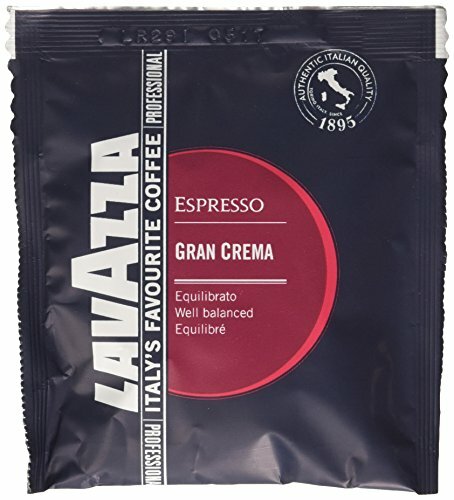 For ultimate convenience, use disposable espresso pods such as the Lavazza brand featured to the left. These premeasured pods (akin to a round tea bag) fit perfectly into the Handpresso machine. When finished, the grounds are still within the disposable liner, so clean up is easy. 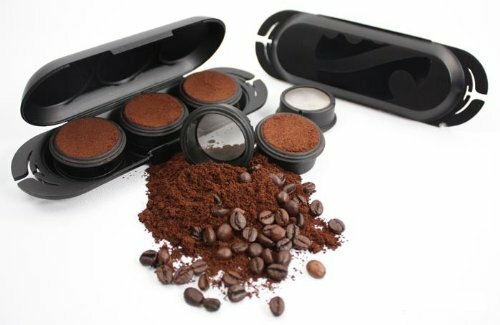 If you want to use your own freshly ground coffee or don't want the waste of disposable packets, you can fill your own domepods. The set shown here holds three pods. This is perfect for traveling since you can premeasure the pods and carry them in the convenient case. What are your trying to do to us coffee lovers? I thought I had everything that I ever needed for making a decent cup of coffee. Now you show me this cool device that I have to get for the coolness factor alone! Do you really own this yourself? Can I take with on camping trips? How about on the next flight to the moon? I know some coffee addicts who would love one of these to make sure they can get coffee anywhere! Since we are off grid and use solar power, this would be good for us even at home.